I love this cover. Isn’t that dude just so adorable with his widdle moustache? 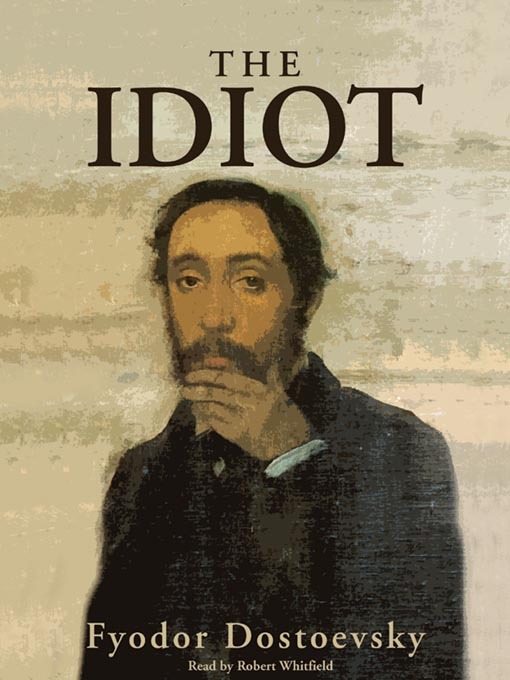 I’m about a fourth of the way through Dostoyevsky’s The Idiot. I’ve read a fair amount of Dostoyevsky, but I read almost all of it during about a year-long period (2009-10). He was one of the first serious authors that I really tried to tackle. I believe I started with Notes From The Underground (which is such an unbelievably bizarre book that I’m surprised I read anymore) and then read Brothers Karamazov, The Double, The Gambler, and Demons. I really enjoyed Demons. Much more so than Brothers, actually. I thought that Demons was one of his more human works, particularly in the relationship between the professor and his patron, Varvara. But, weirdly, I wasn’t able to read any other Dostoyevsky for the next four years. I mean, I tried, on a number of occasions, to begin Crime and Punishment, but it never clicked for me. I also tried, at various times, to read The Eternal Husband and Other Stories and House of the Dead. I don’t know what it is, exactly. I think it’s just that Dostoyevsky is full of grotesques and at some point I lost interest in grotesques. It became hard for me to see any humanity in his characters or in his work. That’s a common criticism of Dostoyevsky, but perhaps not a fair one. I don’t know. The Idiot is different, because the hero, Prince Myshkin, is just so darned good. Apparently, its Dostoyevsky’s attempt to create a positive ideal: a person that we can look up to. I actually really enjoy the Prince’s artlessness. He’s so funny. It’s like he doesn’t know what kind of novel he’s in. People will come in and tell him things that you know are supposed to be secret, and he’ll just blab them to the next person he talks to. And although he sort of plays along with peoples’ intrigues, he also stays above them. He remains uncaptured and uninterested in the outcomes of these schemes. But I’m still not sure about the book. Right now it’s just been conversations. Interminable conversations. I’m a fifth of the way through the book and less than one day has passed. Oh well, I’m withholding judgment.